Innercoat® is a blend of microcrystalline waxes designed to provide the most desirable corrosion resistance, adhesion and wetting characteristics. It is hot-applied directly to the pipe surface and is always over-wrapped with a proper Trenton wrapper depending on the type of application. Its ease of application and “forgiving” character in difficult applications make it an ideal all-purpose pipe coating. To protect straight pipe or irregular metal surfaces from corrosion. It can be used for new services, field patching, weld cutbacks and pipeline reconditioning. 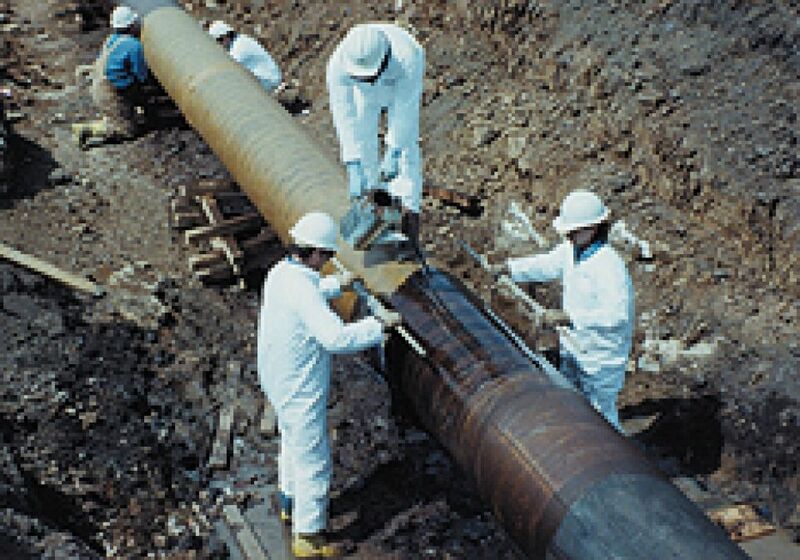 Clean pipe surface free of loose rust and scale, loose coating, dirt, grease, moisture and other foreign matter. Heat Innercoat to between 250° and 350°F in summer and between 350° and 500°F in winter to ensure proper adhesion. Then pour or brush Innercoat directly onto the clean and dry surface. For straight pipe use the “granny rag” method. Once Innercoat is applied, wrap with Guard-Wrap™. A thin coating of Innercoat can then be applied over the Guard-Wrap for additional protection.